This story was a blast! I really enjoyed it. The voice actor does a great job of bringing the different characters to life. The only thing off-putting about her was how she pronounced "mishmash" and "rodeo". Not being from California, I didn't realize that "rodeo" in "Rodeo Drive" is pronounced differently than a "rodeo" one attends. That still leaves the odd pronounciation of "mishmash." But other than that, this was a lot of fun to listen to. I definitely recommend this story. There are some interesting anecdotes from various entrepreneurs in here. 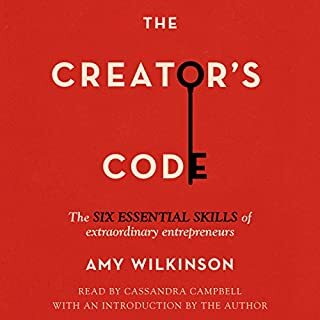 The author tries (unsuccessfully, IMHO) to weave them together into an overarching master plan that would-be entrepreneurs can follow to achieve greatness. To me, this overall structure is weak and not terribly helpful. I do appreciate the content on the importance of paying it forward and helping out other people though. It's not bad, per se... collections of interesting business anecdotes can be helpful to listen to. Just don't expect more from this than that random potpourri. 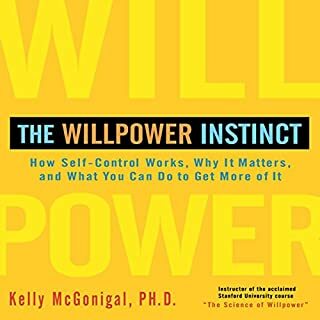 Personally I prefer "The Willpower Instinct: How Self-Control Works, Why It Matters, and What You Can Do to Get More of It" but this isn't bad. An interesting look at the science around willpower., with occasional helpful tips. For example, if you are dieting, telling yourself you may not ever have that slice of cheesecake will be worse for you than telling yourself that sometime in the future you will have it--you just have to wait a while. Justine Ezarik has been tech obsessed since unboxing her family's first Apple computer. By sixth grade she had built her first website. A decade later she became one of the Internet's first - and most popular - "lifecasters", inviting people around the world to watch her every move 24 hours a day, seven days a week. But it was a one-minute video about an itemized AT&T bill that gave Justine her first taste of viral success. This book is so good!!!! 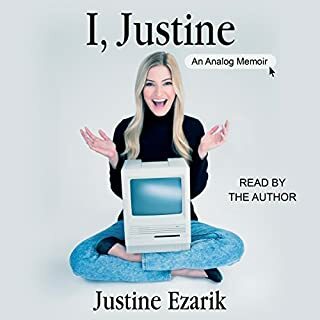 "I, Justine" is the story of a girl who grows up fascinated with video games and computers and became a woman famous on Twitter and YouTube. She lived for LAN parties and exploring the early days of the Internet. Practically from birth, she's loved Apple products (which is why she eventually identified herself online as "iJustine"). She briefly dabbled in programming, but learned she had more of a desire for the visual--web design, taking pictures, making videos. She eventually had a job with long hours and nothing to do, so she would make silly videos to entertain herself. That became more of a passion, leading to podcasts, all kinds of silly videos, lifecasting, a huge following on various social media sites, and eventually fame and fortune and minor acting roles. Justine is stunningly beautiful, but always seems surprised that anyone thinks so. She is sweet and charming, but frankly talks about the heavy, scary, and soul-crushing trolling she's endured, somehow continuously bouncing back from it. It's always a pleasure to hear a book read by the author, as this one is. What's the value of this book? Who should listen to it, apart from hardcode iJustine fans? - being a software engineer, it touched my heart to hear of a young girl fascinated with computers and technology growing up. That could be inspiring to young women who could one day grow up to work in the technology field, although the fact that Justine focused on being an Internet celebrity instead of an engineer may make that a less than perfect choice. - for those who want more than anything else to be a YouTube star, this would be worth a listing. It is absolutely not any kind of instruction manual, the online world is a very different place than when iJustine got started, and she admits herself that how she got started is not the most effective method. However, this could provide some perspective on what is necessary, and the pros and cons of going down that path. When a disease sweeps the world and causes millions of people to be paralyzed ("locked in" their own bodies), technology is developed so "neural nets" can be implanted in their brains, allowing them to interact in a virtual world or control humanoid personal transports ("threeps") to interact with the physical world. The novel explores interesting characters and the potential business and political ramifications of such a world, but it brings up other interesting notions as well. If you could interact fully in a virtual world, would you want to interact with the physical world? What would it be like to be able to connect to a threep in New York City for a morning meeting, then switch to a threep in Tokyo for lunch with an important business contact, then spend the evening catching a show in France? What if you could try, say, dirtkbike jousting with the knowledge that if you screw up, you'll just need a new threep and you yourself will be unharmed? And how would that affect your sense of ethics? 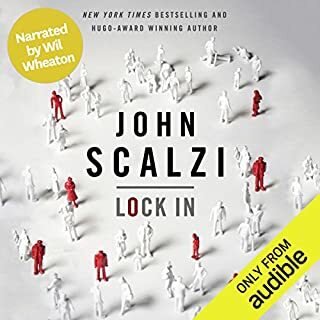 These questions (and dirtbike jousting) are not dealt with directly in the book, but John Scalzi has created an unusual and intriguing world here that should make all of us stop and think. 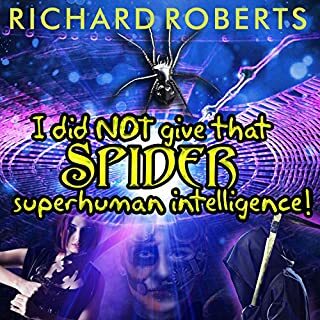 What it does contain is an entertaining sci-fi police procedural, plus bonus content at the end that I suspect is not in the physical book. A multi-voice "news report" explaining the events that lead to the world of Lock In. I have a ridiculously long list of books on Audible. I go through podcasts and audiobooks voraciously. I almost never abandon a book before completing it. I only got about halfway through this book before I stopped. I couldn't deal with it anymore. 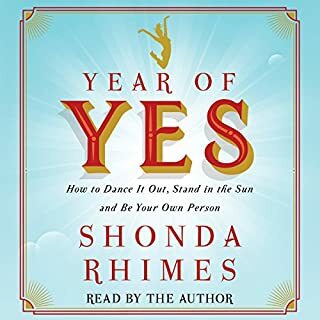 The book appears to be random psychobabble where the author makes up unnecessary new terms and concepts, interspersed with stories of how great she is as a therapist. There is no entertainment, no personality, no humility and precious little in terms of practical takeaways listeners can use. The author would be well served by reading better books, such as Non Violent Communication. I do NOT recommend this book. There are many better works out there, so don't waste your time. The author explicitly tells us that she isn't going to focus on the logistics. You won't find guidelines on "top ten questions to ask your caterer" here. Instead, this is a higher level approach. 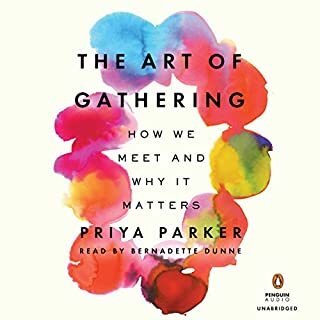 Priya Parker challenges us to consider the true purpose of our meeting, conference, dinner party, wedding or funeral. Once you drill down to find something specific and unusual, that can affect many other choices you make, from who to include (or exclude! ), how to open and close, and special rules and expectations to set for your event. It's not mind blowing, but is interesting and is worth a listen for anyone who may end up organizing events, whether formal or informal. I had fairly low expectations for this book. I expected it to be dry, academic and not very useful, not standing out in a crowded field. I was impressed and pleased as I got further into the book. 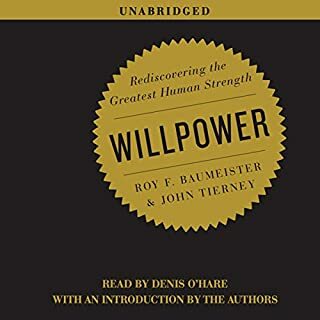 There is actually a lot of interesting information in here, drawing from our best scientific understanding of how willpower works, what traps to avoid, what common wisdom is faulty, and what we can do. There's a lot of good information here. I think I may need to listen to it again, or get the ebook version so I can refer to it more frequently. I definitely recommend this book. 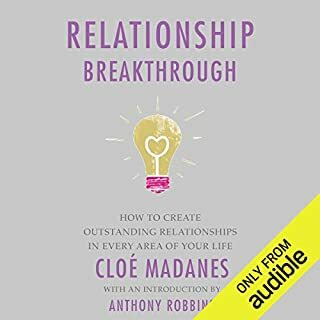 I heard this book praised on the "By the Book" podcast as an incredible book for those interested in self improvement. It's certainly titled like one. I imagined readers would be challenged to a full year of stepping up their game and making their life better with more confidence. Instead, it's an autobiography, plain and simple. If you enjoy the author's TV shows and want to learn more about her, then certainly listen to this book. Apart from that, what is the value here for listeners? - the author lost a lot of weight. It's unclear how listeners can gain the same benefit. It appears the lesson is that at some point, something will click, you'll get truly serious about it and will talk to your doctor, ready to do whatever it takes to be healthy. - parenting is hard. It requires help and compromises. Don't be ashamed. There are bits and pieces of wisdom in the book, but not a lot to draw in. This book is mainly for entertainment. I certainly wouldn't suggest it as a parenting book or a weight loss book. It could be useful for some people who find fear holding them back from what they want to do in life, or who have social anxiety. Hearing the author's story could be motivational. It is a treat to listen to an author read their own book. And there's no denying that Shonda Rhimes can be an entertaining writer, so it's definitely not hard to listen to. In general, it's ok, but not great. Society knows him as a wealthy and utterly unintersting man of leisure. Little do they know about how double life, where he uses his financial resources, his exceptional physical condition, and cunning mind to save the innocent from those that would do them harm. His unique symbol ensures that everyone knows to credit the mysterious vigilante for his heroics. The Scarlet Pimpernel is often credited as being the start of the "hero with a secret identity" trope, a banner later carried by Zorro, and then, yes, Batman and many other superheroes. This is the story of an English nobleman who strives to save French noble families from the guillotine in the French Revolution, outwitting the enemy at every turn. I try occasionally to delve into works of classic literature. Often I find them utterly boring compared to modern works. 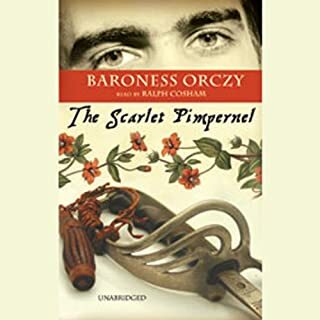 I won't say that every second of the Scarlet Pimpernel is utterly gripping, but it holds up well for a story well over a century old. It's a fun excursion for anyone who likes superheroes. I'll also note that the story is told from a woman's perspective--a character regarded as not just quite lovely, but the keenest mind in France. Although generally just an observer, not making change happen herself, she is nonetheless brave, adventurous and not afraid to get her hands dirty or put herself in harm's way for what she believes in. Not something we always see in books this old. They could have found a better narrator though.